Cash transfers over the phone or by the internet will soon take only one day instead of three, according to the banking industry body Apacs. The quicker system should have started last November but was delayed to make sure it worked properly. It will now start on 27 May 2008 for the whole of the UK banking system. Apacs said the "massive and complex" project would also speed up standing order payments, from three days to one day, as well. The new, faster, payments service has cost the industry hundreds of millions of pounds to develop and implement, said Sandra Quinn of Apacs. "It will be a 24-hour a day, seven day a week, service and transfers will happen immediately," she said. Initially, the new system will be aimed at personal customers, then later at business customers too. It has also been designed to cope with a big future increase in the volume of daily transactions. Currently, internet and phone payments make up 4% of all payments in the banking system, with standing orders making up another 9%. The plan for the new system has been nearly three years in gestation, following an agreement between Apacs and the Office of Fair Trading (OFT) in 2005 that the existing procedures should be improved. The boom in internet use over the past few years has led to online banking becoming more popular than telephone banking. 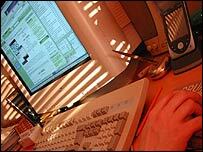 In 2006 there were 17 million adults banking in the UK online, up from 6.2 million in 2001. That was one million more than the 16 million adults who were doing some of their banking by phone. Will Santander challenge the big banks? Will banks split affect customers? How much will your loan cost you? Have we become a nation of savers? Payment revamp or small change?